Add life to longer stays at TownePlace Suites Orlando East/UCF Area. 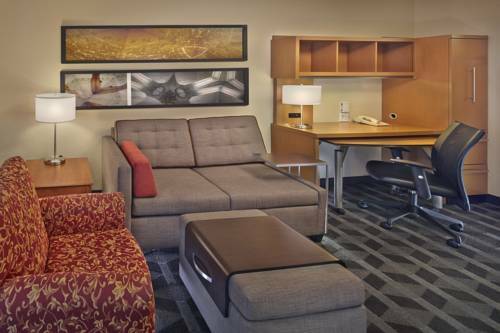 Designed for "do it yourself" extended-stay guests, each suite offers functional space for living and dining. Enjoy a daily Refresh of your suite and for those staying 7 nights or longer enjoy a Full Service performed in your suite on your 7th day. Select from one of our spacious studios, 1-, or 2-bedroom suites, each with a fully equipped kitchen with four burner range ovens. Located in East Orlando, our all-suite hotel is within walking distance to the University of Central Florida, Siemens and just minutes from the Central Florida Research Park and Lockheed Martin. Guests can enjoy comfortable and affordable extended-stay living in the University of Central Florida area. New to the area? Our knowledgeable, friendly staff and easy on-site references allow you to connect with the neighborhood and surrounding areas. TownePlace Suites by Marriott Orlando East/UCF Area offers you comfortable extended-stay living.